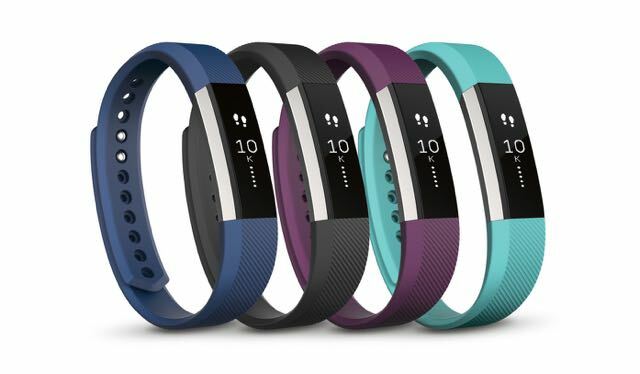 The Fitbit Alta is the company’s best ever fitness band that can be worn 24/7 to count your steps, track your sleep, help count your calories and give you an excellent overview of your activity level. For anyone who wants to get into shape or stay in shape, you need to work out where you’re at with your fitness. 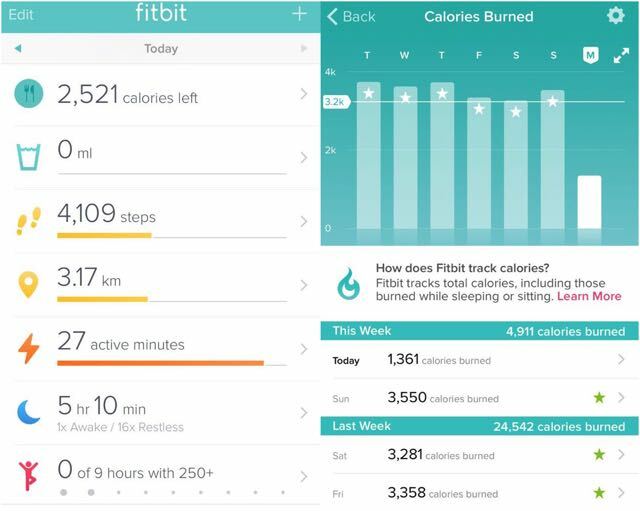 The Fitbit Alta is an ideal device to give you an idea of your current activity levels and set your goals. 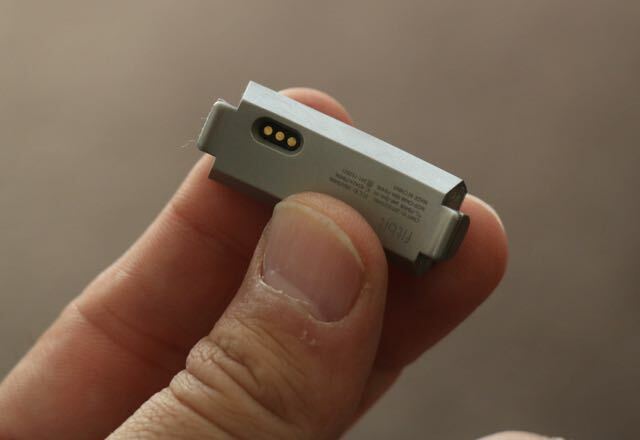 The device has a small easy-to-read screen that comes to life when you lift your wrist or when you give it a tap. 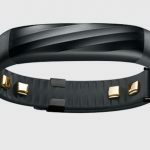 The band itself is quite slim and discreet and is designed to be worn all day and night. 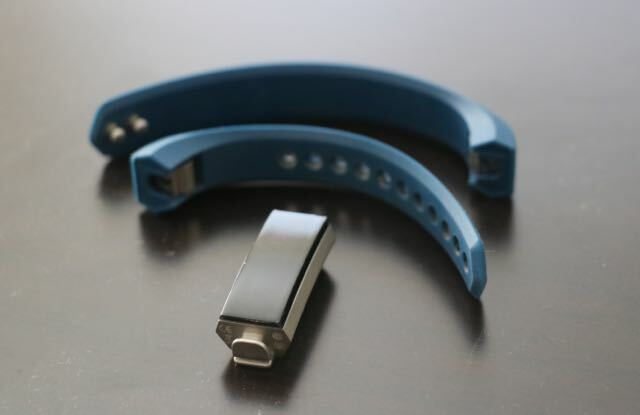 The actual Alta unit can be snapped free of the band to allow users to swap out their straps to other colours and designer styles made of leather or metal. On the screen you can immediately see your daily progress and you can scroll through these with a tap on the display. From the Alta’s screen you can check the time, your step count, distance travelled, calories burned, active minutes and the battery level. One of the best things about the Alta is that you don’t need to do anything – just wear it. 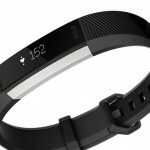 It will automatically track your steps and even recognise and record not only the fact that you’re exercising but it will also work out the type of activity with the SmartTrack feature – and all without you having to press a single button. You’ll even get hourly reminders to move as well. And while the Fitbit Alta is an excellent device, the companion FitBit app completes the pictures and is your dashboard to monitor your progress. From the app you can customise the device – like choosing watch face styles, horizontal or vertical orientation, and the notifications you’d like to see on your wrist. But you can also drill down to see how you’re really doing right now and also set the goals you want to hit each day. You can also check out the quality of your sleep and look back at a complete record of your daily step count, calories burned and distance travelled. 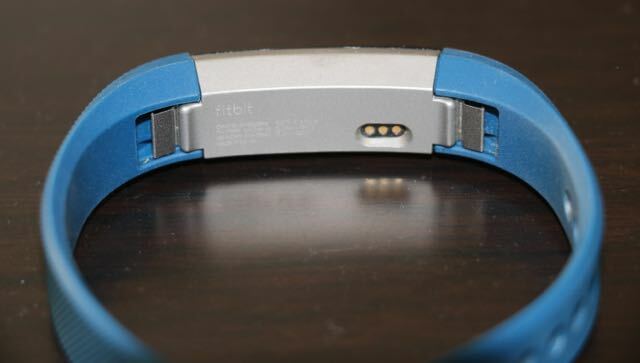 On the sleep side, the Fitbit Alta can work out how long you slept and also the quality of sleep with a graph showing when you had deep sleep, restless sleep and when you were awake. The Alta can also be used as a silent alarm so you can be woken by a vibration on your wrist so you don’t disturb your partner. Users can also use the app to log what you’re eating by either entering a description or scanning a barcode to work out your calorie intake. There’s even a special section within the app that can also let you record how much water you drink. The app awards you various badges for your achievements. One we earned was the Italy badge because we had moved for a total of 1,184 kilometres which is the entire length of Italy. 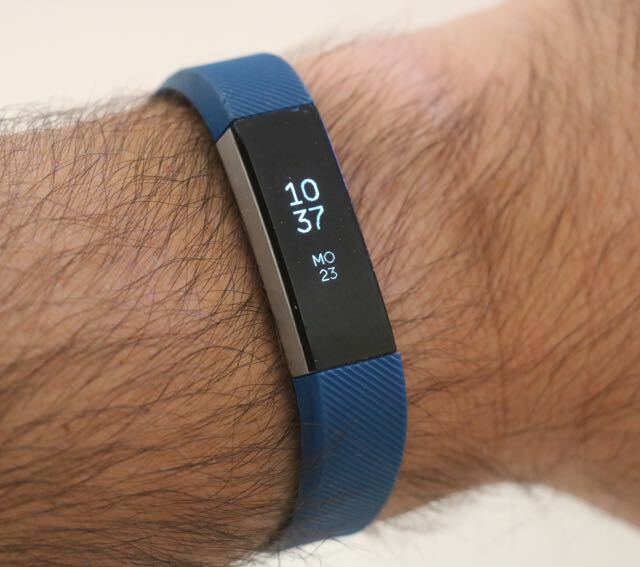 In terms of accuracy, we found the Fitbit Alta was pretty generous with the step count. While we were reviewing the device, we also wore an Apple Watch – which has its own step counter onboard – while were wearing the Fitbit Alta. Either the Apple Watch is a little stingy with the step counter or the Alta was over generous because when we receive an alert that we’ve hit 10,000 steps on the Fitbit, the Apple Watch was up to 4000 steps behind. Go figure. 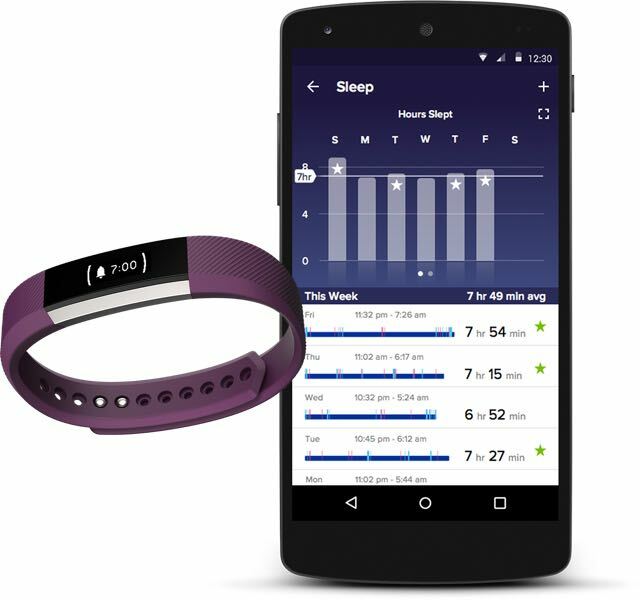 Fitbit Alta can also relay your smartphone’s notifications like incoming calls, text messages and calendar alerts. But the Alta’s vertical orientation on your wrist means you need to turn your head to an uncomfortable angle to read these notifications. We soon learned how to read sideways to avoid a trip to the chiropractor. 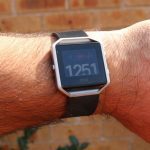 Overall the Fitbit Alta is an impressive device but what appealed to use most was the fact that all you had to do was wear it. 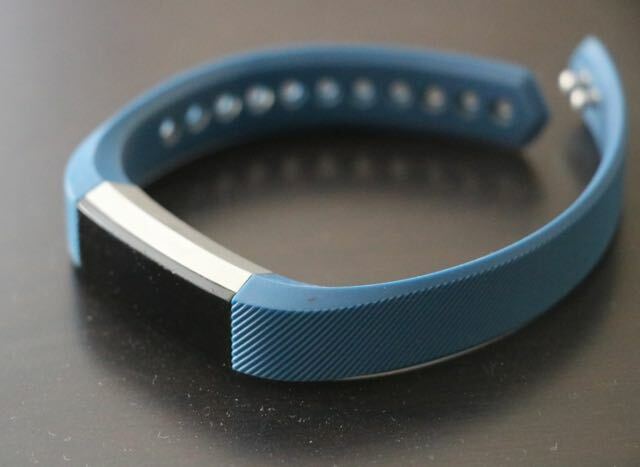 There are no buttons to press and no remembering to start tracking your activity – it all happens on its own. 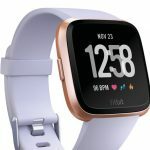 Our only complaint with the Fitbit Alta was the screen sometimes didn’t wake up when we wanted it to and the display occasionally needed a harder tap to scroll through the pages. It’s also not waterproof so take it off before you have a swim although it’s supposed to be able handle being worn in the shower. We opted to remove it before showering but did forget we had it on a few times without any ill effects. 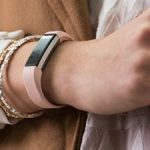 The battery is one of the most impressive features of the Fitbit Alta and we easily got through to five days before we needed to recharge. Recharging the Alta requires the included USB cable which clips on to the Alta and recharges the device quite quickly. 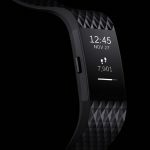 The FitBit Alta is one of the best activity trackers on the market and a great device to monitor your every move and to get motivated to get into shape. Apart from wearing it and going about your normal day to day activities and exercises, there is nothing else you need to do. 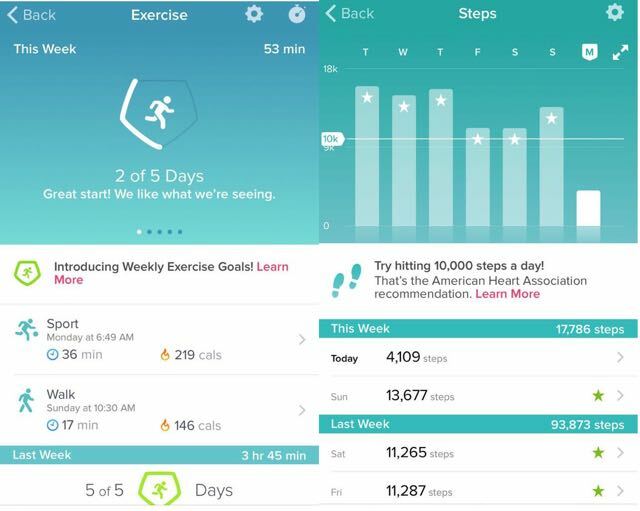 The device captures plenty of information and the app does a great job displaying your progress to help you reach your goals. Additional bands: Classic – $49.95; Leather – $99.95; Metal – $169.95.